its operating and financial results for the third quarter of 2018.
million, resulting in a profit from mining operations of $0.3 million. fully diluted basis and EBITDA (1) totalled $15.7 million. from operations of $6.1 million. 11,240 ounces represent our third best month. Discussion and Analysis for further information on these measures. completed by the end of October. the completion of these Plant modifications. ore at a grade of 3.3 g/t containing 4,300 ounces of gold. 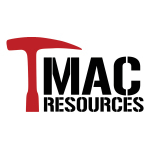 TMAC mined 61,200 tonnes of ore, or 1,975 tpd, in the month of October. generating ore feed for the Plant in 2019. The most significant focus at Doris has been on extending the Doris BTD. exploration platforms for Doris Connector and Doris BTD Connector. and throughput, and costs decreased as economies of scale were achieved. concentrating lines, the unit costs are expected to decline even further. of October to strengthen the balance sheet. offering price of $4.40 per share. prepayment are expected to be approximately $0.8 million. or, once filed, on SEDAR at www.sedar.com. Please read this news release in conjunction with these documents. 2018 at 10:00 am (ET). webcast of the conference call will be available at http://services.choruscall.ca/links/tmacresources20181109.html. Mining Conference, taking place in Toronto, ON, Canada. negative thereof or other variations thereof or comparable terminology. throughput and recoveries ramp up at Doris throughout 2018.